Besides social media apps, and the likes of WhatsApp and Viber, there are some extremely helpful apps out there to make booking a trip and travelling, very easy! I’ve listed my favourite travel apps below. They’re all really easy to use, so helpful when you’re in a foreign country and… they are all FREE! Surely this needs no introduction? Instant confirmation, pay on arrival if you choose, paperless bookings and a 10% Genius Discount if you book 5 times or more. The best thing about booking.com though, is the fact that it’s free cancellation. When you book your accommodation, keep your eye on the price. If it changes to a cheaper price, cancel for free, and rebook! Booking.com actually encourage this and you can save yourself a fortune! This is so handy! 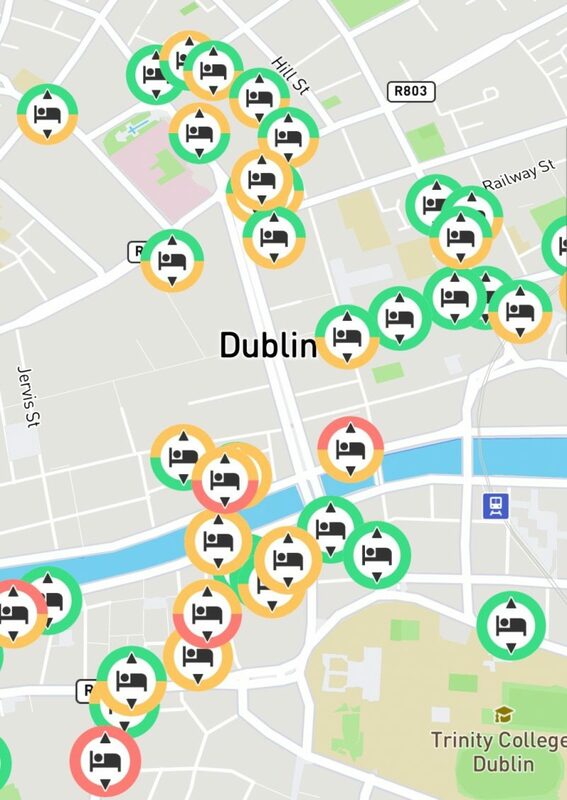 Just type in where you want to travel to, and the app will give you land, water, air and a whole load of other transport options to get you there! It will also give you an idea of distance, times and prices. This is definitely one of the best travel apps out there. 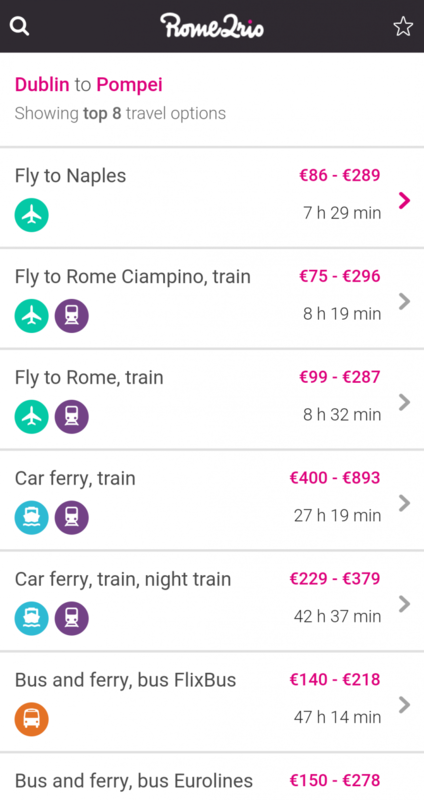 Skyscanner allows you to search multiple sites at once so you can get the cheapest flights, hotels and car hire available for your travel dates. I only ever use it for searching flights though. This is essentially a digital scratch map! You enter the places you have been and it will tell you how much of the World, US and Europe you’ve seen. I was very disappointed with my results but I love adding in new countries! This app is pretty impressive. Enter the city you’ll be visiting and for how many days, and this app will generate a full itinerary for you! You can even book tickets through the app which makes it even handier. Shout out to the lads at The Sharpe for telling us about this one! Hopper lets you watch flights and predicts when they will be at their cheapest! You’ll never miss a deal with this app, it’s brilliant! If you’re travelling to a country where they speak little to no English, Google Translate will allow you to speak into your phone and translate it into different languages! We really could have done with this in China. You can read all about our trip to China here. Guess what this app does? 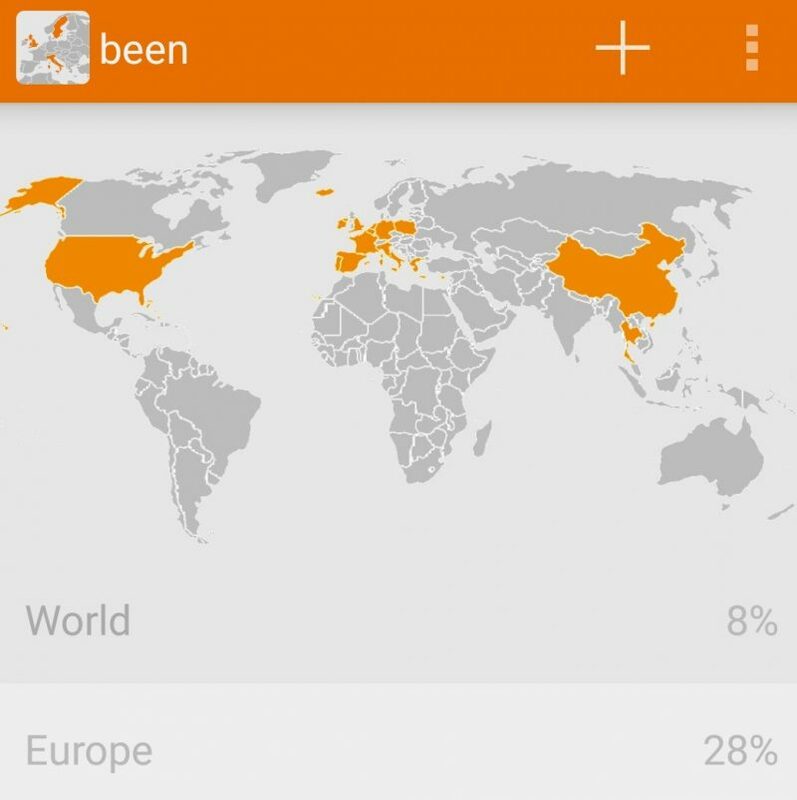 :p Yes… it finds you free wifi all over the world! I don’t know about you, but I find Metro systems overwhelming! It’s probably because Dublin’s equivalent, goes in a straight line back and forth, and is above ground! This app provides a collection of the World’s underground transport systems as well as trams, trains and buses. You can even download the maps to your phone so wifi is not necessary! The worst Metro I’ve ever tried to use, was in Paris, and the people weren’t too helpful either! This came in really handy on our recent trip to Milan. It doesn’t matter if you’re walking or driving, Google Maps is an ideal travel companion! We find it particularly helpful on road trips. Places is actually part of Google Maps, so there’s no need to download both. It lets you search nearby restaurants, petrol stations, hotels, landmarks, ATMs and everything else in between! I discovered this app just before our trip to Poland and I’ve used it on every adventure since. Before you travel, have the person you’ll be contacting, download the Skype app. You can video call them for free! I’ve tried and tested all of these travel apps and they’re brilliant I promise! Let me know below if you have any recommendations for me! If you’re interested in travel and looking for some inspo, you’ve come to the write blog! Read all about my latest trips here!